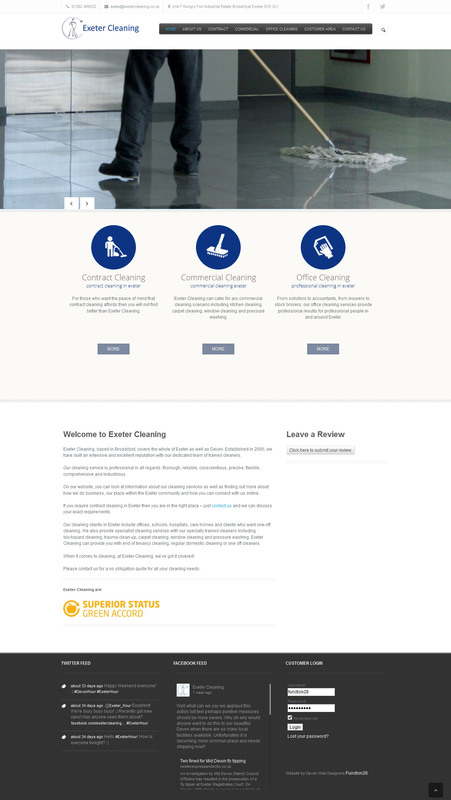 Exeter cleaning wanted a new website design to cater for their company growth.They required a client management area where they could assign people accounts and upload documents. They also wanted clients to be able to leave company reviews and they wanted the site to be fully responsive. Working closely with Exeter Cleaning, we met all their design requirements and the project came together really well.